With the increase in property prices across NZ, one focus of the new government is to increase “affordability” through changing the way properties are taxed. The most controversial of the changes introduced to date is the proposed extension to the Bright-Line Test. Whilst the Tax Working Group will “consider” an official Capital Gains Tax, the reality is that the extension to the Bright-Line Test will impose a pseudo Capital Gains Tax on property investors – albeit at income tax rates. The current two-year Bright-Line Test will be extended to a five-year test, effective for properties acquired after the legislation is enacted (likely March 2018). The new Bright-Line Test means that anyone who buys and sells residential property within five years of acquisition will pay income tax on any gains, unless an exemption applies such as the main home exemption. Thus, rather than solely targeting people who are speculating, the Bright-Line Test seeks to tax ordinary New Zealanders who are simply trying to get ahead as investors and landlords. The Bright-Line Test can encapsulate situations even where there was no intention of resale, or where the disposal occurred due to circumstances outside the owner’s control such as illness, lifestyle changes, financial pressures, bad experiences as a landlord, lack of use of property, changing where you live or holiday, and the likes. The five-year period is also likely to capture more family homes, as the main home exemption can only be used twice in a five-year period – the third is taxable. • These changes will result in property investors needing to consider options and look for other ways to maximise value/returns on their investment, such as developing the property. 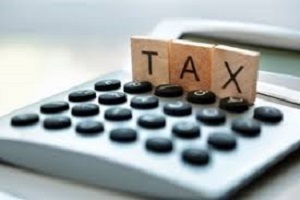 These options can trigger tax costs; therefore, tax advice should be sought from a specialist advisor before proceeding. • The changes could also have an impact on the number of investors in the market, which in turn could affect the sale price you can “fetch” on the sale of your investment property. • There are specific dates for acquisition and disposal – they are not the same. You should get specialist advice on these dates before you consider selling. • Be careful around transfers between your entities – they are not exempt. • If you buy and sell you must factor in the potential tax cost on any gain that is made. For assistance with the potential taxation treatment of a property sale, contact your taxation advisor. Source: Angela Hodges is an Associate Tax Partner at Crowe Horwath based in Hamilton.